1954 was the founding year of the Jauch company in Villingen-Schwenningen, located on the edge of the Black Forest in Germany. At that time, the company supplied components to the Black Forest watch industry. From this business, frequency control products developed and in the subsequent years, battery solutions. 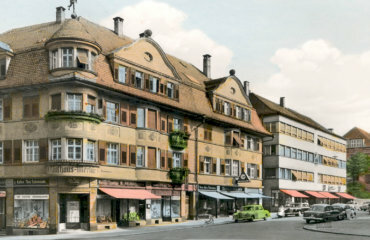 In 1954, all employees worked from a few offices in the “Merkur Building”, which can be found in the Schwenningen city center. However, this space became increasingly cramped. In 1992 the company invested in its own large building in the Schwenningen industrial area known as “In der Lache”. This is still the headquarters of the internationally active, medium-sized company, which has over 100 employees at its headquarters in Villingen-Schwenningen. This building houses management, all administrative units and the small quantity production lines of frequency components and batteries. To supply customers all over the world as quickly as possible, Jauch invested in one of the world’s largest warehouses for frequency components. The SAP-controlled, automated warehouse makes particularly efficient use of the available storage space. 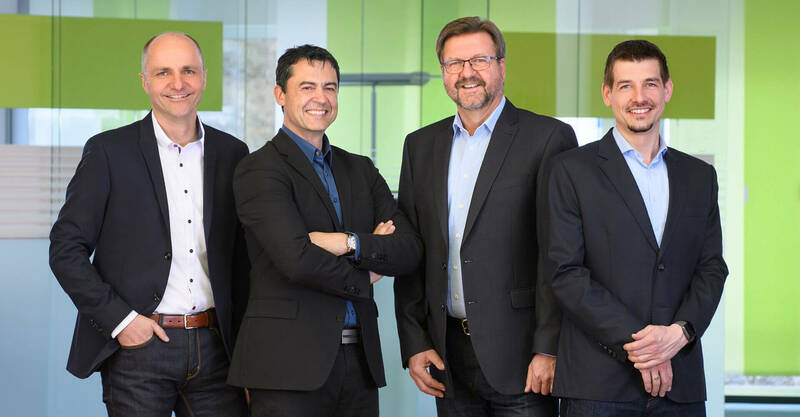 The four members of the Executive Board are in the corporate headquarters (from left to right): Andreas Nann, Director of Finance & Controlling; Daniel Panzini, Director of the Battery Division; Detlev Seiler, Managing Director; and Steffen Fritz, Director of the Frequency Division. Thomas Jauch, the owner of the family business, is still involved in the company. He was present at this year’s electronica, the world’s most important trade fair for the electronics industry. In addition to the successful growth of the Jauch Group, Thomas Jauch is particularly concerned about his employees. This special kind of appreciation is expressed in many ways. The company offers its employees a sports and health program, the workplaces are equipped to very high standards and every year Jauch invests in a large holiday party, as a thank you to the employees. Staff members are not only a good team during working hours, but also spend part of their free time together. One company – one team, even outside of everyday office life! The Jauch head office in Villingen-Schwenningen, Germany. 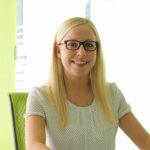 Marketing + PR manager at our company headquarters in Villingen-Schwenningen – a keen all-round talent who doesn’t let anything throw her off and pays close attention to detail.